Summer is finally here in the US as of yesterday and we are loving this campout birthday party from Kristen of Mary Had a Little Party. We love the tree trunk vessels, camp-out van and bear printables, and camping grounds map incorporated into the bunting and cupcake wrappers. The neutrals and green make this a chic camp-out party and we think anyone would be a happy camper with this fun spread. Great job, Kristen! Want some more camp-out ideas? 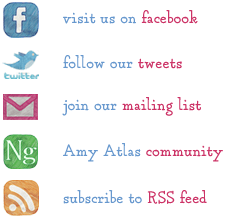 Check out here, here, here, and our S’mores shoot for The Knot here. 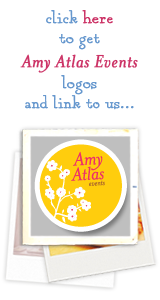 Also, in case you missed it, pick up your Amy Atlas badge/link to us when you have an Amy Atlas moment and we’ll get you up on the sidebar of our blog!